Could Bacterial Infections be the Cause of Pancreatic Cancer? According to recent research, it seems that certain bacterial infections could play a role in triggering the onset of pancreatic cancer. This data is based on a growing number of cancer clinical studies which suggest that these infections (especially if they occur in the stomach or gums) play a significant role in pancreatic cancer. With a lack of early detection methods available, pancreatic cancer is one of the most deadly diseases in the United States. 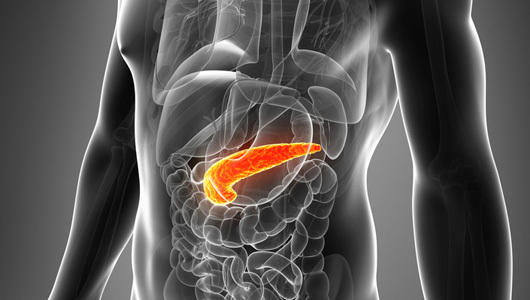 Most patients are diagnosed with pancreatic cancer only after the disease has progressed to a more advanced stage. Unfortunately, the treatment options available for advanced stage pancreatic cancer are extremely limited, so the prognosis for this disease is often grim. This is a sentiment shared by Dr. Wasif Saif, the director of the gastrointestinal oncology program at Tufts Medical Center in Boston. He personally believes that pancreatic cancer is the worst type of cancer that a person can have, and there are many health care experts that would agree with him. This cancer has the highest mortality rate, with 96 percent of patients succumbing to their disease. Despite the threat that pancreatic cancer poses, research has still not had much luck in identifying the main cause of this cancer. Currently, there are only a few risk factors which have been identified for pancreatic cancer, and these account for less than 40 percent of all diagnosed cases. Known risk factors for pancreatic cancer include obesity, smoking tobacco, alcoholism, type 2 diabetes, and a condition known as chronic pancreatitis which causes inflammation of the pancreas. The most important finding from this recent research is the possibility that bacterial infections could be one of the leading causes of pancreatic cancer. With more research, there could be a whole host of prevention methods, such as vaccinations developed to prevent future bacterial infections. This is a very positive development in the fight against pancreatic cancer. According to these studies, two bacterial infections in particular show a strong association with pancreatic cancer. The data suggests that people who were infected with Porphyrmomonas gingivalis, an infection linked to gum disease and poor dental hygiene, and Helicobacter pylori, a bacteria associated with stomach cancer and peptic ulcers, may have a higher risk of developing pancreatic cancer. Researchers have a number of theories which could explain why these infections could play a role in the onset of pancreatic cancer. One theory suggests that these infections lead to inflammation across the whole body, which has been known to play a role in pancreatic cancer. Another theory is that the infections lead to alterations in the patient’s immune system, which could leave the body more susceptible to cancer. Further theories involve the activation of cancer pathways either directly or indirectly by these infections. According to Dr. Saif, the idea that bacterial infections could play a significant role in cancer development is nothing new. For the last ten years, cancer research has been looking into this possible connection. In fact, there has been evidence of this association in other solid tumors and blood cancers. If you have read some of our older posts, then you’d have seen that cancers like liver cancer and cervical cancer are closely tied to infections. The vaccination developed for the human papilloma virus has helped to protect many women from developing cervical cancer. Also, many cancers that form in the upper throat and nose are linked to the Epstein-Barr virus. In the end, this research suggests that a better understanding of the role that bacterial infections play with pancreatic cancer could lead to a number of innovative opportunities for early detection and treatment. When one looks at the current statistics associated with this deadly disease, it is easy to see how important these discoveries could end up being.